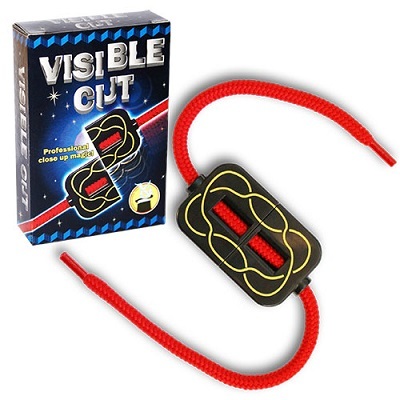 A common rope is placed inside the “Visible Cut” case and visually cut. The two pieces are clearly visible. Finally the case is reunited and the rope is taken out of it… It will be perfectly intact. The rope is always in sight and can slide inside the case. The spectator decides the exact point where the rope will be cut in two. The best thing is that the rope can be cut in any point, as many times as your spectator wants you to. • The case is cm 7 x 4 (in. 3 x 1,5). • A pocket-size classic effet to always bring with you.